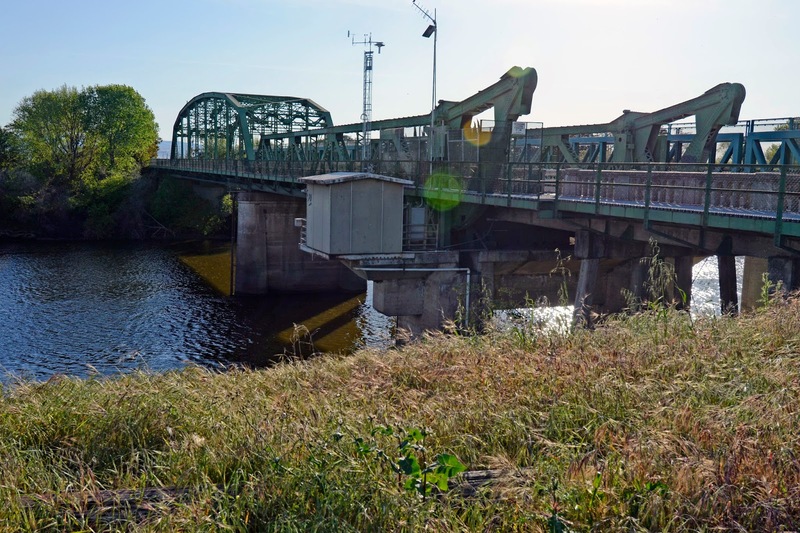 The Manthey Road Highway Bridge (29C0127) is composed of a pin connected (8 panel) Parker through truss span on the west side of the San Joaquin River and a single leaf riveted Strauss bascule span on the east side of the river. However, the counterweights have been removed from the bascule span, which can no longer move. The two main spans are supported on pier walls and the approach (steel stringer) spans are supported on two-column bents. The bridge is 540 ft long with a 200 ft long main (through truss) span. This bridge was built in 1926 and it's in poor condition. The sidewalk (as previously mentioned) is covered in weathered plywood. When I tried to walk on it my boots immediately punched through it (luckily I was holding tightly to the railing). The trusses are covered in rust. This bridge has a low sufficiency rating (7.1) with the deck rated 'critical' and superstructure rated 'serious.' Manthey Road is used as a frontage road for I-5 and it had traffic on it while I was taking pictures. 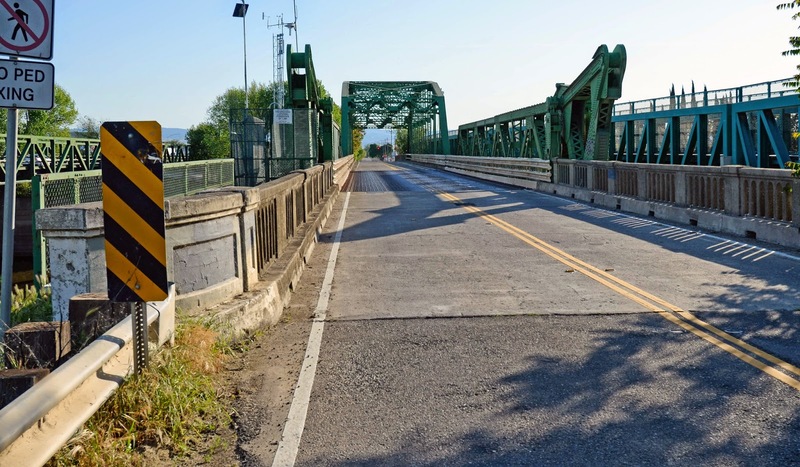 I noticed it was on the California Historical Bridge Site, so maybe it will soon get some much needed attention. San Joaquin County, California Bridges: Manthey Road Bridge across the San Joaquin River by Mark Yashinsky is licensed under a Creative Commons Attribution-NonCommercial-NoDerivatives 4.0 International License.